Cooling equipment is one of the largest considerations when designing and building data centres. Data centre operators must guarantee the highest reliability levels to their customers. So it is vital that the cooling system must also provide the highest levels of resilience. For single point of responsibility, Transtherm offers both Hydrodynamic Coolers for cooling of CRAC (Computer Room Air Conditioning) units and water cooled chillers. As cooling systems represents a large percentage of the total power required to operate a data centre, they should be as energy efficient as possible. The level of efficiency is often measured by PUE (Power Usage Effectiveness), determined by dividing the total amount of energy used by the energy used to power the computer infrastructure. 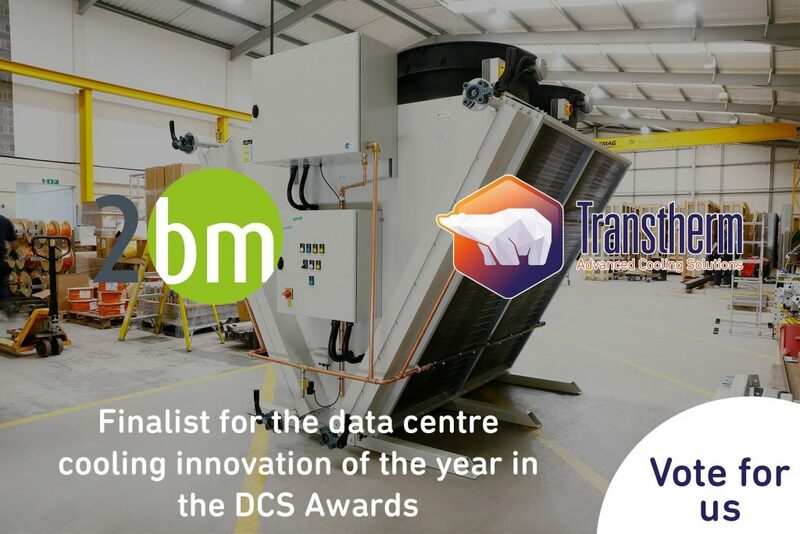 From installing ErP (Energy Related Products) certified fans to taking advantage of free cooling in low ambient conditions, Transtherm can offer advice on how best to reduce the input power of their air blast coolers and pump sets to minimise this figure. We can supply different air blast cooler, adiabatic cooler and pump set specifications to give an accurate idea of CAPEX vs OPEX in order to deliver the optimum balance of budget and efficiency.